Once the basic material (found in Drumming Step-By-Step – Book 1) is understood, it is suggested that you begin to apply that information to the drumset. 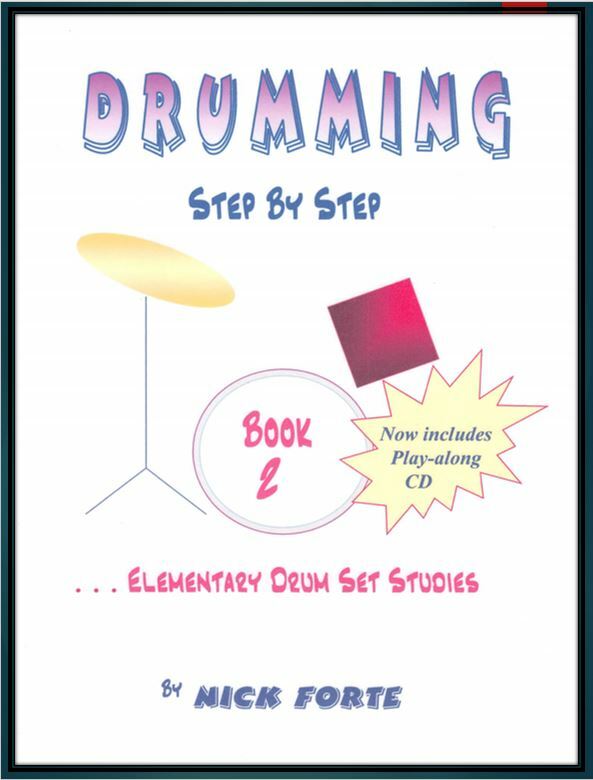 This second book in the series begins with lesson eight and is a direct segue – this is where you actually begin to play drumset routines based on what you have learned in book one. 4) supply you with important practice/study material (exercises ) for daily workouts. hard-earned dollars in drum equipment. Don’t overlook the benefits of purchasing a used drumset – especially if the seller is a reputable musical instrument dealer. One word of advice – if you are going to invest, invest in the best you can afford – good quality can always be resold if kept in good condition.